I was commissioned to make a pair of gold wedding bands to go with this lovely couple’s gorgeous vintage engagement rings. 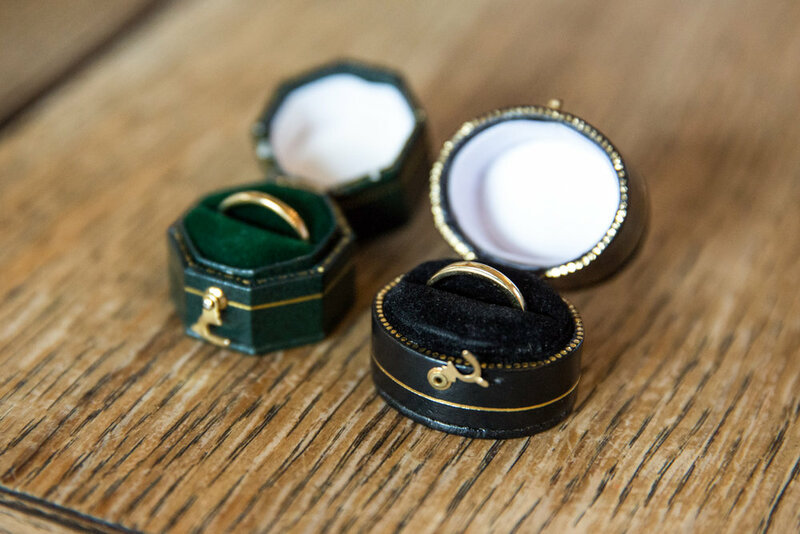 They wanted something simple to go with their delicate diamond rings, and using recycled gold was also important to them, which always makes me happy. I started off by taking the measurements of their engagement rings, then carved the wedding bands from wax and cast into silver. We then arranged a first fitting, made a few adjustments, then made a mould of the silver masters and cast them into 18ct eco-gold. All that was left to do was clean up and polish to a lovely high shine, and tada! 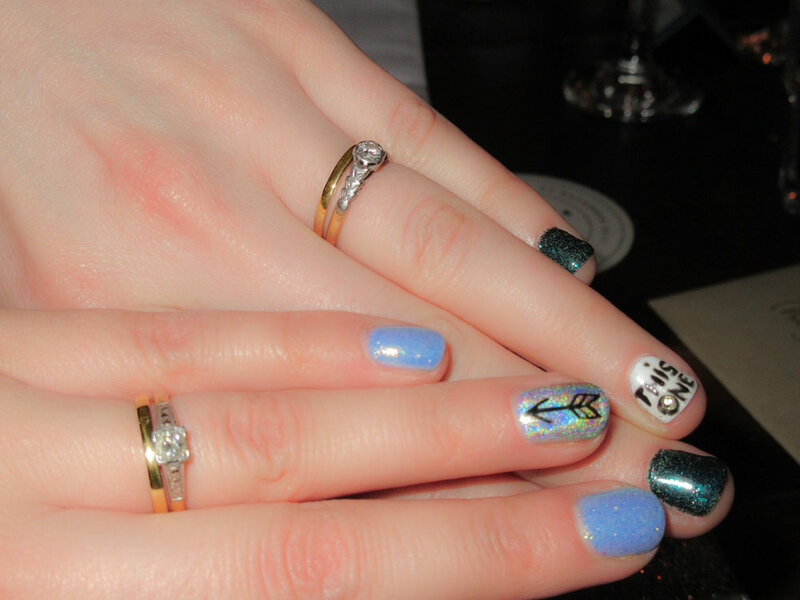 And this was taken by one of their guests – such a great photo and loving the nail art! I even got a mention in a beautiful article about Amy and Hannah in Pink Weddings Magazine - check it out at pages 8-14! 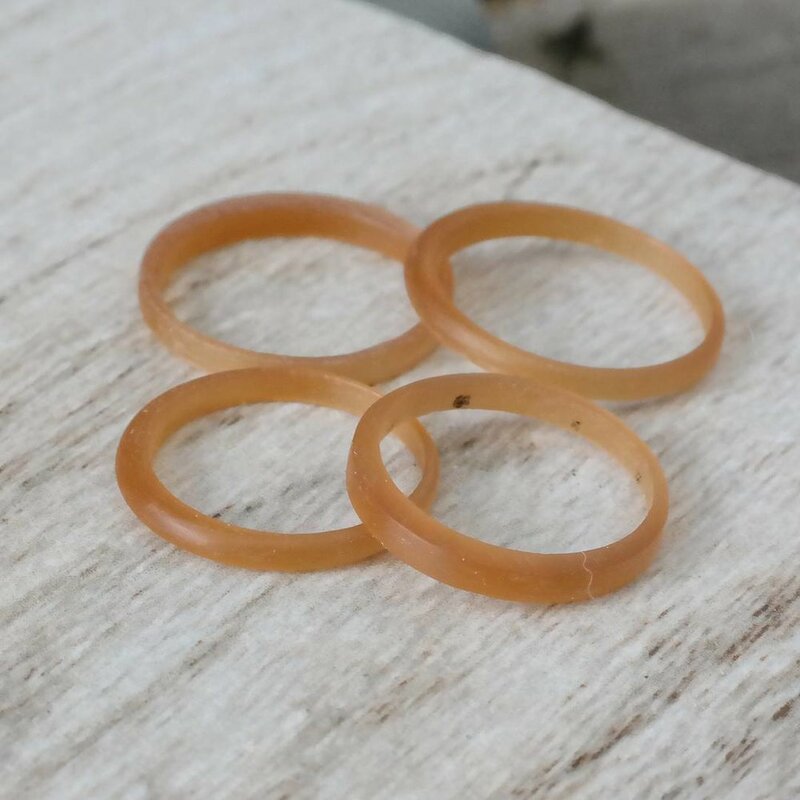 If you are looking for bespoke wedding bands, hand crafted using ethically sourced materials, please do contact me to discuss your options.